March 3, 2015: I just updated the file to include additional tiles and animations. 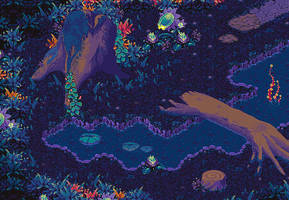 EcoVerse tiles were sold to Starlight Escape in Furcadia. 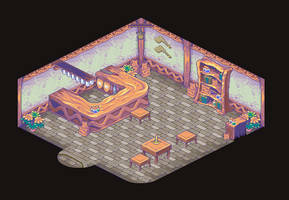 I am in the midst of doing a new tileset, which is not isometric, which will appear in my online portfolio. Follow me on deviantArt and Behance so you don't miss it. The WIP Town Square for R'haven Harbor! 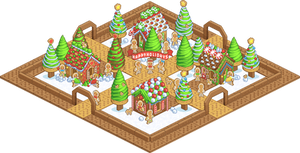 A part of the EcoVerse RP community on Furcadia! RP with us at EcoVerse! Sorry, had to upload this new file! dA wouldn't let me update the old one because it's a .GIF and not a .PNG. GG dA! Now with animated fountain! It's a cool little game world. 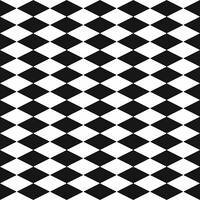 Different planes are easily distinguishable, and color scheming is solid. While heavily stylized and a WIP, the next step is probably to avert what's probably the most common mistake I see when I look at game graphics- individual game assets in disunity. The houses, trees, pretty much everything else casts no shadow despite the choice of colors clearly suggesting a sunny day. That will make your props look out of place when it doesn't look like they physically belong. Shadows will also help add depth, knowing how MC Escher had plenty of fun with parallel projection when taking advantage of the lack of depth that can result from isometric projection. I dunno if laymen would be able to notice the weird lack of shadows, but I think it is certainly an interesting observation much like a vampire without a reflection. I also think tiles are a lot more presentable if they have characters in them... just a thought. 36 out of 37 deviants thought this was fair. Nice work. 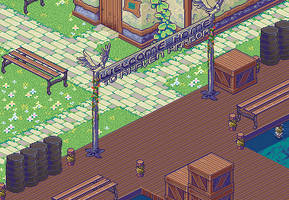 You are welcome to join the pixel-metropolis collaboration project if you are interested. Is this dream up yet? this doesn't even look like furc. Wow, beautiful! I love the walls on those houses. Did you make these yourself? If so I'd love to commish a patch set drawin in this art style D: Its so pretty. No problem c: You wouldn't be taking commish's would you? I will take a few more commissions for patches after I can finish the ones I have now. :3 It may be a while, though. Feel free to watch me because I'll keep my journals up to date! Sweet! I got a question however. How much will you charge for a full set of medieval items walls and floors? Do you also make your own avatars? Cause I need to get a Large and baby dragon done up for the dream's main boss. we can save up for the cost of the commish. I'll note you about it! Thanks! You can when we launch! Thank you so much Euphie! has been featured in the Pixcellent Artists Article for this month! Feel free to the article if you like it. Ooooh thank you so much, that's very flattering! Looking better than ever! Are you planning on adding some form of splash where the stream of water from the statue's mouth hits the rest of the fountain? I think it would make it a bit more readable - as it is it's a bit easy to miss and looks very static compared to the rest of the water. Still loving your use of colors, gosh! Hey there! Thanks Linnet! Yes, I am. I just need to get around to it, and it will probably be one of the last details I add (along with shadows). Thank you for reminding me! <3 I definitely agree with the readability thing. Maybe I can add something to it, too... like a few shadows just to show its moving. Alright, cool! Maybe a little bit of "flicker" on the highlights in the stream? At that size there's not really enough room for detailed animation, but it would give it a bit of movement. Still - so excited for this! And thank you, me too I can't wait for it to go live! OH MY GOSH!!! That's amazing!!! There's so many details, and the the coloring and shading is incredible~ I love the little animation of the fountain This must have taking you forever!!! Woah, wait, this is on Furcadia? Such beautiful patchwork. It certainly is! Thank you! That is so cool! Gorgeous!